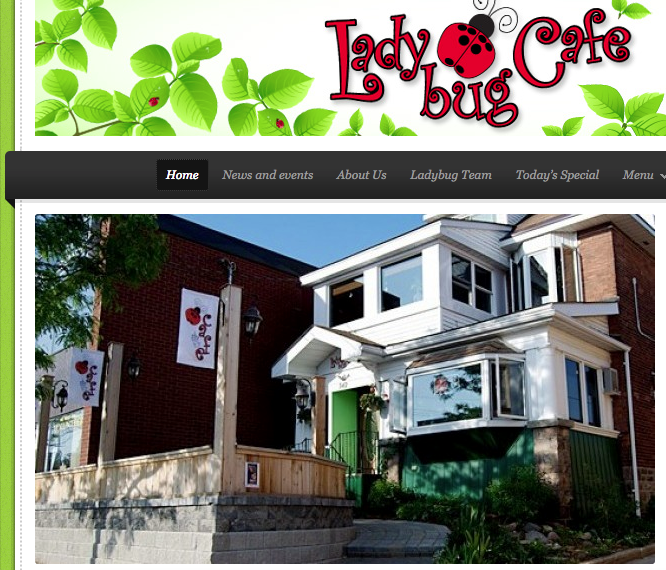 Awesome new website launch for LadyBug Café in Midland Ontario. Ladybug Cafe features fabulous breakfast, freshly made sandwiches, soups, salads, baked goods, freshly brewed coffee, tea, cappuccinos, espressos and lattes. They are open 7 days a week for your convenience. This project was very close to my own heart as the The LadyBug is owned and operated by brother, Chef Glen Grittani and his lovely wife Elaine Martin. LadyBug Cafe was fromerly Freda’s Restaurant founded by our mother Freda and father Leonard. 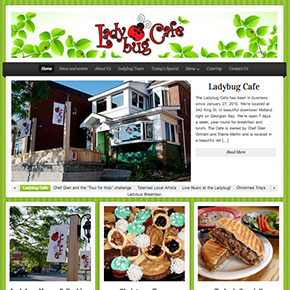 I used the premium theme from Organic Themes called “Restaurant” and customized to reflect the brand personality for the LadyBug Café.